Blockbuster director Rohit Shetty is always known to bring out the hidden gems from any place where he shoots. His shoots in Goa have always shown us the picturesque locations of the breathtaking city like never before. But what we hear is that this time the director has shot in the exotic corners of Mumbai as the story of Singham Returns revolves around Mumbai city. Rohit Shetty has not only shot in iconic sites of the city but also unexplored remote places and the bylanes of Mumbai to bring out the real character of the city. The team has shot in places which are rarely seen on the silver screen like Reay Road, Cotton Green, Urankhanwadi Chawl, Mahim Durgah, and JJ Fylover which are very difficult to shoot owing to the places being crowded. Apart from these places Rohit has also managed to shoot in iconic places like Gateway of India, where they got special permission to shoot after 6 yrs as well as the Worli Fort. 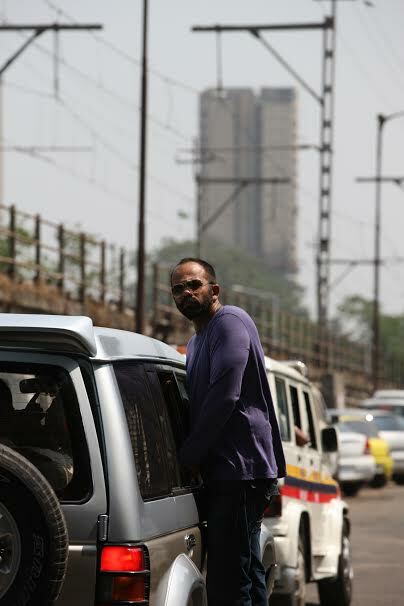 Well, with this news we cannot wait to see Mumbai from Rohit Shetty’s viewpoint on the big screen! The lion is all set to roar as Singham Returns releases this Independence Day 15th August. Singham Returns is produced by Ajay Devgn Ffilms, Rohit Shetty Productions and Reliance Entertainment.